Even if you’re an avid photographer, you might not have dabbled in underwater photography. 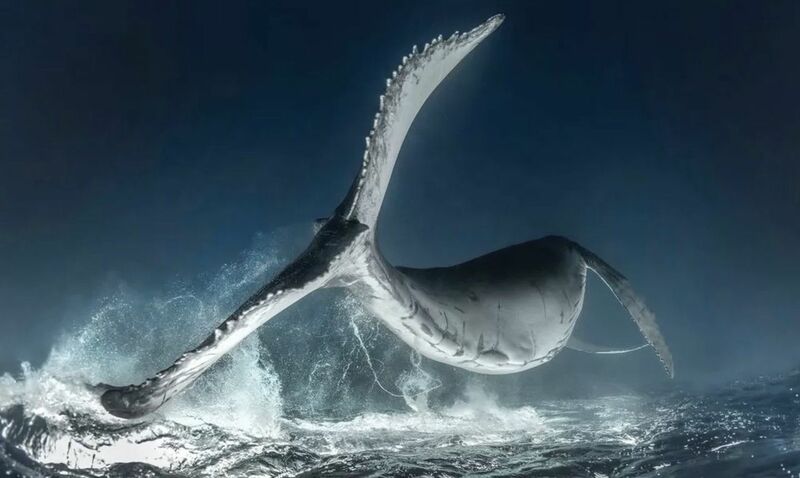 This niche photo contest, sponsored by Scuba Diving magazine, really puts into perspective the beauty and degree of difficulty of capturing marine life in its natural habitat. 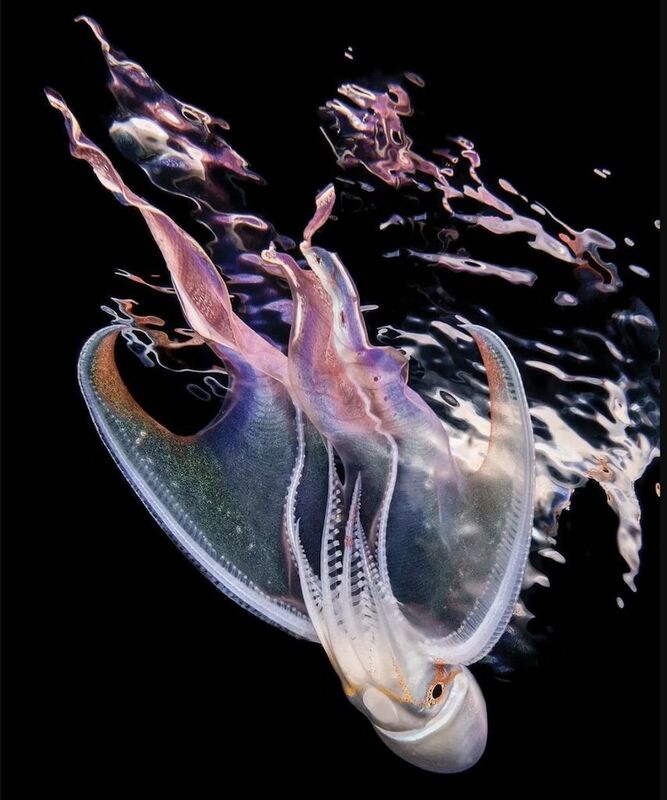 The magazine’s 14th annual photo contest asked photographers of all skill levels to submit their best underwater work. Tasked with judging over 2,100 entries, the magazine selected a dozen winners divided into four categories: Wide-Angle, Macro, Conceptual, and Compact Camera, with one Grand Prize overall winner. Here are some of the notable winners. In the waters of the Tiran Islands in the Red Sea, in a rock-and-coral formation, Jamie Hall discovered the giant moray eel that would become the subject of his photograph. 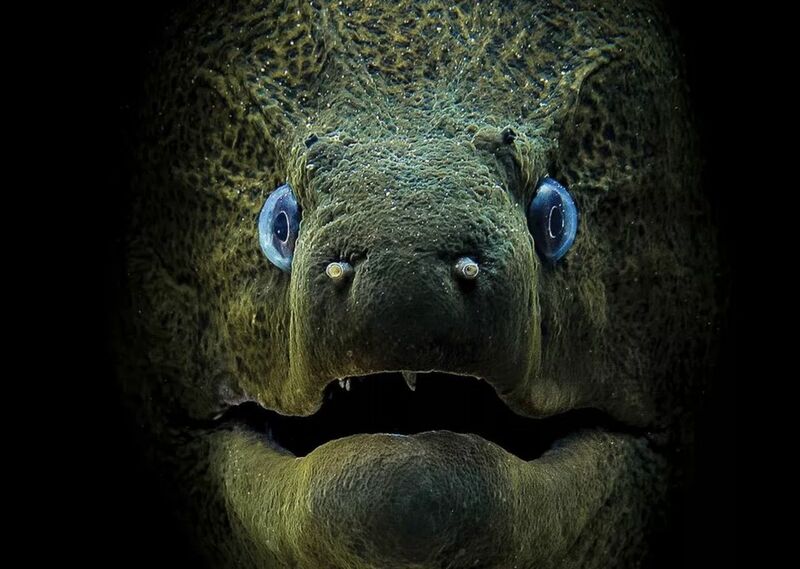 He moved in cautiously, and as he did, “The moray stared straight into my lens, not breaking eye contact for a moment.” That intense eye contact is what makes the photo truly gripping. This photo isn’t a depiction of marine life at all but of a relic of human history. 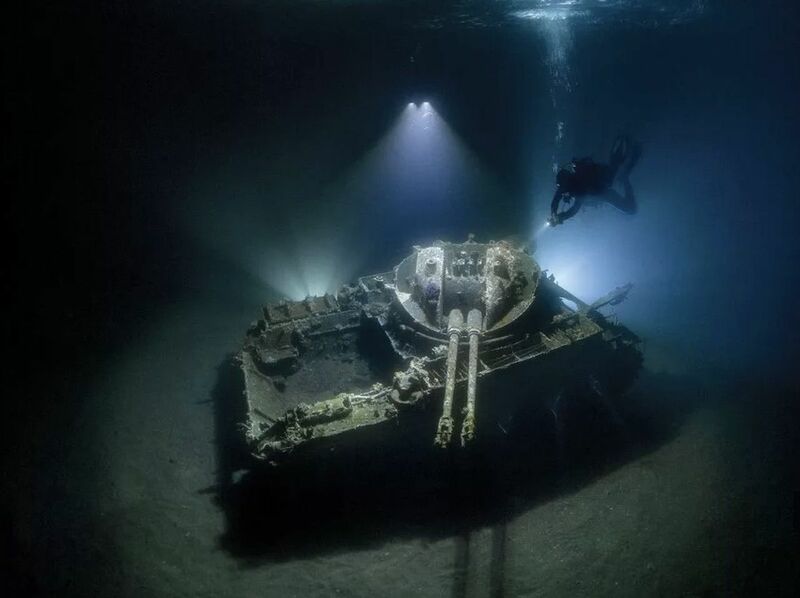 In 1999, the Jordanian Royal Ecological Society sank an anti-aircraft tank just off Tala Bay, and it’s since become a snorkel and dive attraction. Soon after the sinking, the wreck became home to many of the reef’s aquatic residents. The conceptual category is meant to illustrate an idea with a unique interpretation making use of creative techniques and software. Culver conceived of this picture when he came across a coconut octopus while muck diving in Indonesia. 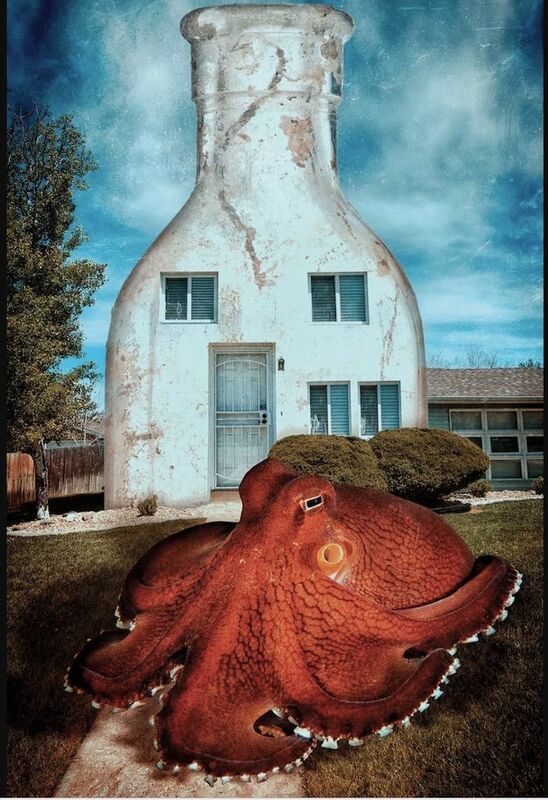 He then strove to create a “home” for it with a small bottle he found while diving in Naples, Florida. Taken together, the piece is meant to illustrate how these two subjects are often regarded: disaggregated as trash.